In Borshivka, near Tetiev, Sam Klausner had become a cooper - he made wooden barrels. He had a barrel-making business in the yard of his house, taught his sons the trade and also employed others. Sam and his sons Nathan and Ben began by peddling used barrels. 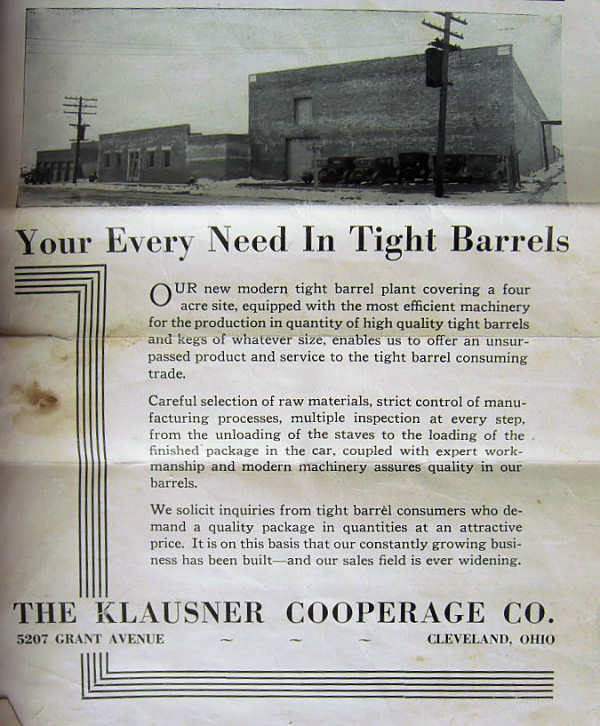 In 1923 Sam Klausner started Klausner Cooperage with a small shop near their home on East 51st Avenue near Woodland Avenue. Son Jake would soon join them. With Nathan and Ben leading the way and Jake supervising manufacturing, the business grew rapidly. 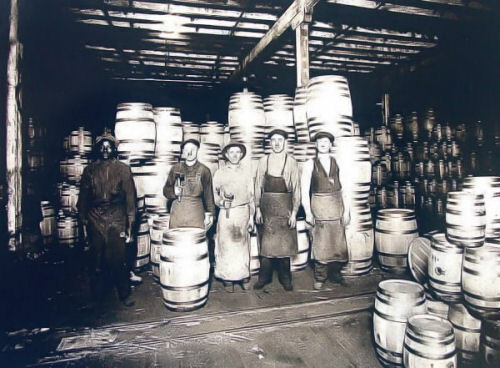 It moved to 5207 Grant Avenue in Newburgh Heights where it had more land, better transportation for the oak coming in and the finished barrels being shipped out. The Klausner Cooperage office was on Grant Avenue in Newburgh Heights, though I can't remember the address. I worked there in the early forties, in the office .... made $35 a week, but being the boss's daughter, my father took me to lunch every day. The factory was adjacent to the office in the rear. It had a railroad siding and every night it was my job to give directions to the engineer of the railroad as to where the loaded railroad cars were to go. At its peak the business had 75 to 100 hundred employees. There were three in the office, a head stenographer, me and another girl. Then there were three private offices, of which one was in used by my father (Nathan) and my uncle Ben, Uncle Jake was mostly in the factory. 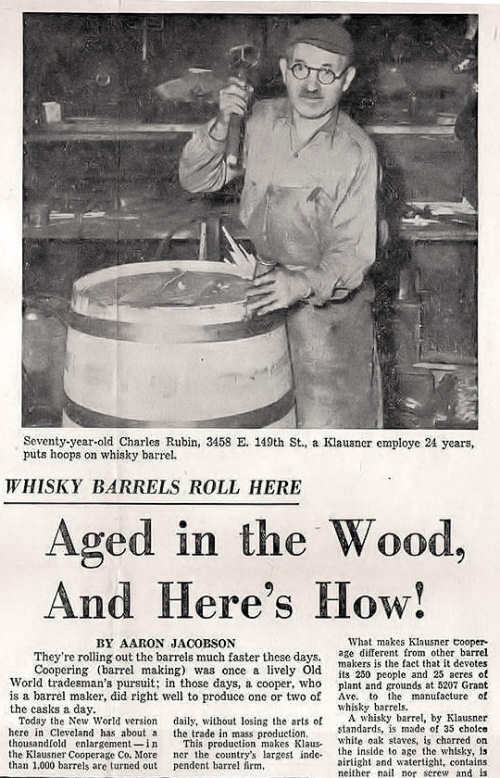 Klausner Cooperage's oak barrels were being sold to major distillers and sales were good, even during prohibition (1920 to 1933) and through the Depression years too. 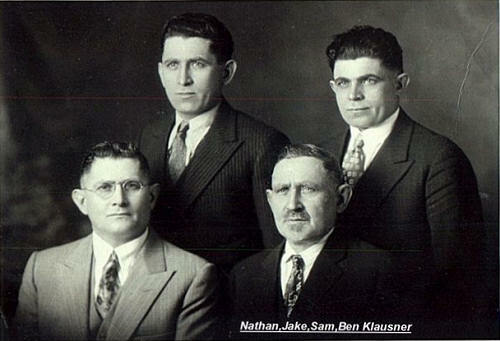 In 1910 Sam Klausner and sons Ben and Nathan were peddling barrels. This 1930 trade journal ad shows how far they had come in just 20 years. For them, America, Cleveland in particular, had been Die Goldene Medina. The smokestack proclaiming KLAUSNER could be seen for miles. 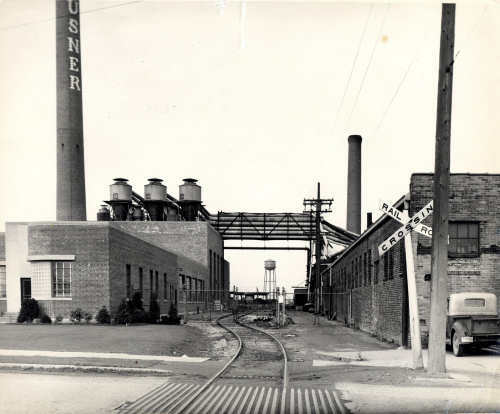 Today the KLAUSNER stack, the railroad track and the building on the right are gone. employed 250 persons and shipped 1,000 barrels a day. 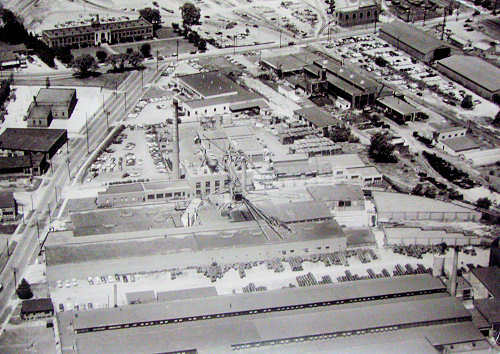 Klausner Cooperage's business declined in the 1950's. The company turned its interest to making oak stair treads and then ceased operating in the early 1960's. Continue to a page with more on each of the nine children.